The incredible thin blades of this series show Wakui’s forging skills and enable the user to detailed and high performance usage. One of our favorites. 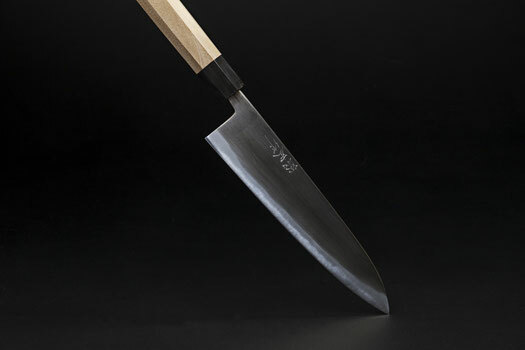 Besides from the originally used Migaki finishing, we also sell this knives in “Nashiji Version”. Core: Shirogami 2 steel, hardened to HRC63-64. Handle: Octo Hoo wood handle for perfect grip. Precious colour. Buffalo horn ferrule bolster.